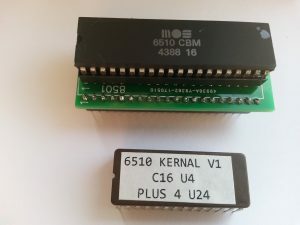 I have made it possible to convert the unreliable 8501 processor fitted to the Commodore 16 and Plus 4 to the more reliable, cheaper and widely available 6510, as fitted to the Commodore 64. Available on ebay.co.uk, just search for 8501 cpu. New board for Plus 4. Plugs straight in with no soldering. The Plus 4 is a little more tricky. The conversion will work fine, however due to the lack of space inside, the keyboard will hit the 6510. 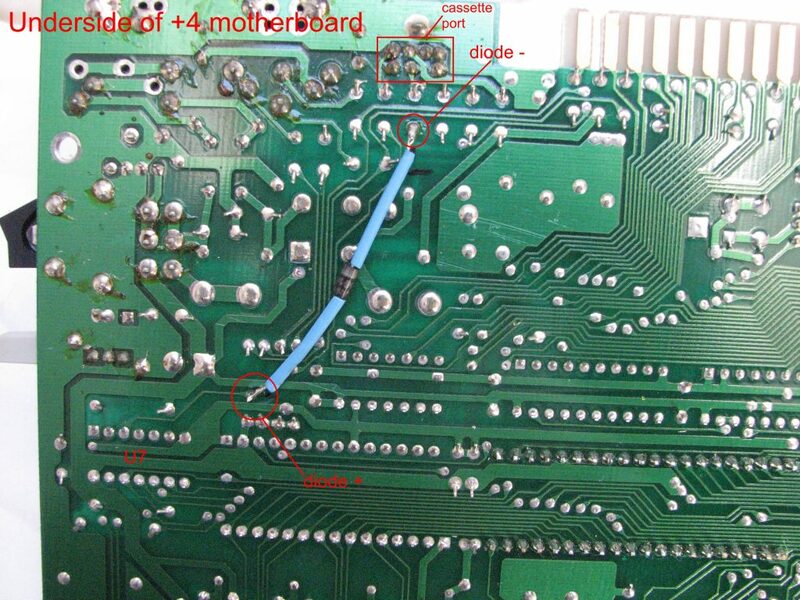 The best way round this is to remove the 8501 socket and solder the conversion board straight to the motherboard. The Kernal needs to be replaced to get the serial port working, otherwise it’s not possible to access a disk drive or the SD2IEC card reader. 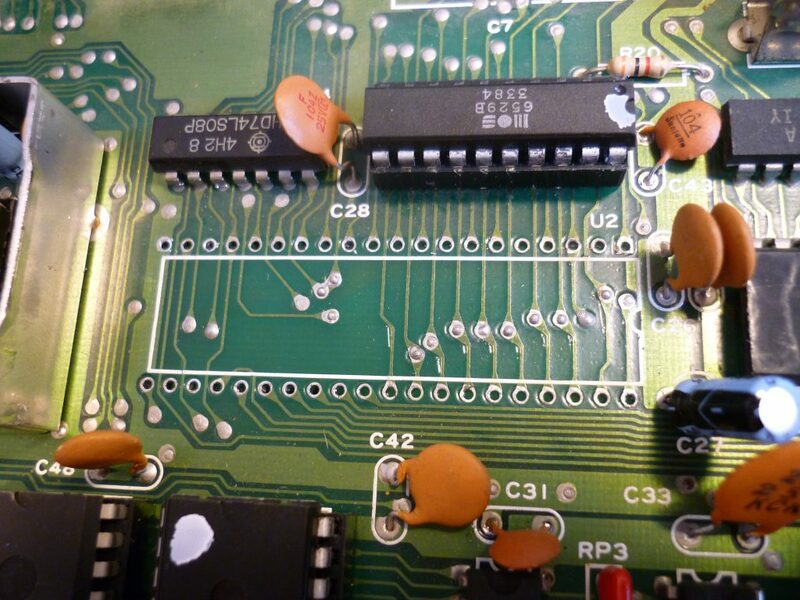 With the 6510 and replacement EPROM installed, the C16 & Plus 4 will work as before. The only thing that has been lost is the ability for the computer to stop the tape deck. Which is not a problem for most games, as once they have loaded the tape will simply go to the end and stop. If a program requires further loads, the tape must be stopped manually. I have added a small link to my board to enable the tape deck’s motor to run. If fitted the motor on the tape deck will always run, even if the play, rewind or fast forward are not pressed. In most cases this is not a problem. If you don’t have a tape deck plugged in, then it doesn’t matter. 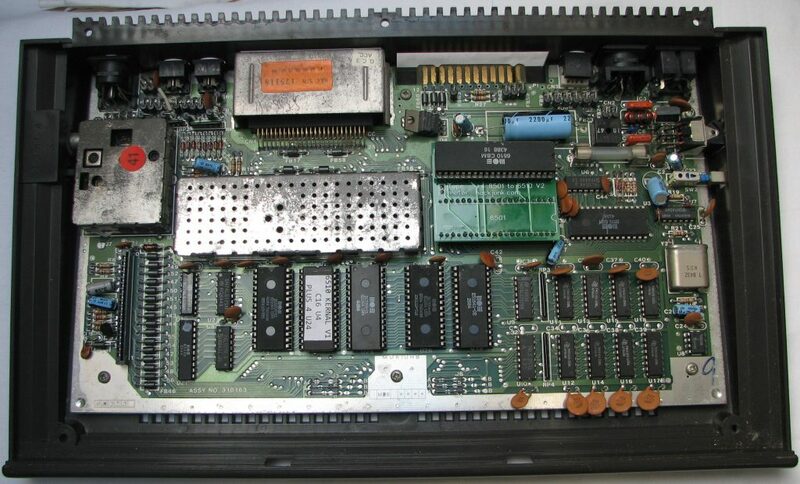 A diode can be added to the motherboard on both the C16 and Plus 4 which will enable the cassette motor to only run when play, rewind or fast forward are pressed. A 1N4001 or similar should work fine between pin 5 of U9 (7406) and FB15 for the C16. A 1N4001 or similar should work fine between pin 3 of U7 (7406) and FB13 for the Plus 4. 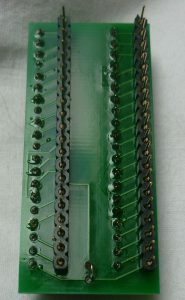 Don’t forget to cover any exposed wire to stop shorts and cut the link on the 6510 board. The reason for the loss of motor control is due to the number of control ports on the CPU’s. Basically, the 8501 has seven and the 6510 only has six. These ports control the disk and tape functions on the C16 and Plus 4. They are also numbered slightly differently, hence the need to rewrite some of the code in the Kernal. The tape filename found pause has also been reduced as the computer can no longer stop the cassette and could miss some of the data on the tape. 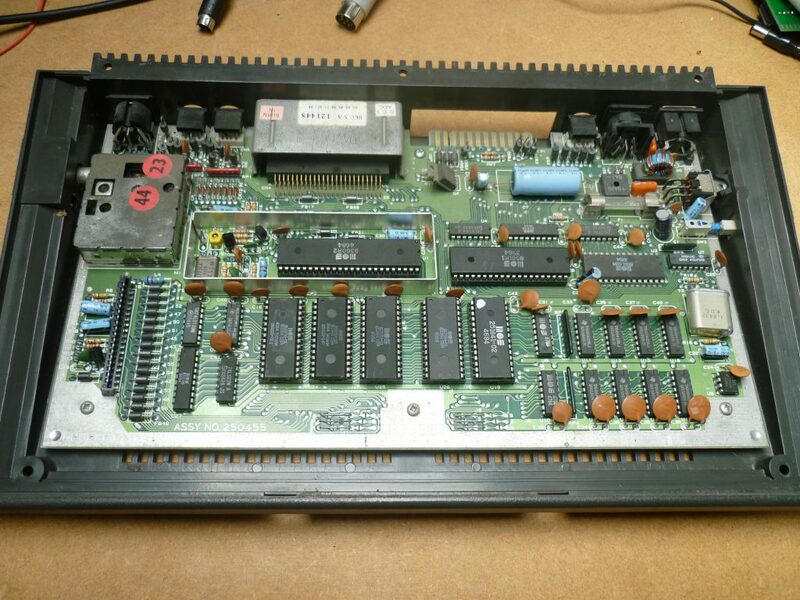 I am planning to sell the board with a 6510 and an EPROM on ebay.co.uk shortly for £25. I have just created a modified version of the circuit board to plug straight into the plus 4 and position the 6510 closer to the back of the computer. I agree about the port bits. This design is a compromise. Tape fast loaders should work fine as bit 1 is used on the 8501 & 6510 for tape data. Disk fast loaders probably wont as IN, OUT, and Clock serial data are on different bits. My aim is to try and keep the C16 and Plus 4 alive. The 8501’s are becoming rarer by the day. I’ve bought a lot of C16’s and +4’s from eBay and at least 80% have a dead 8501. If you don’t use disk fast loaders, you should be fine. I think it’s a lot better to have a slightly slower disk load and have a working computer than no computer at all. This is great. Thanks. I was planning the same by just simple leg-bending-and-extending before inserting the 6510 into the socket. Are you planning to sell this kit? Or was there any link that I missed to download the modified kernal? Hi Andy, very nice! I’m interested, one for C16 and one for PLUS4. If i can save (money) something, i’m looking for a “kit” version, just the two PCBs and the file(s) to burn, instructions are onlne , thanks at you. I can program eprom, i have some sockets and many strips to use. First of all congratulations for this essential development. 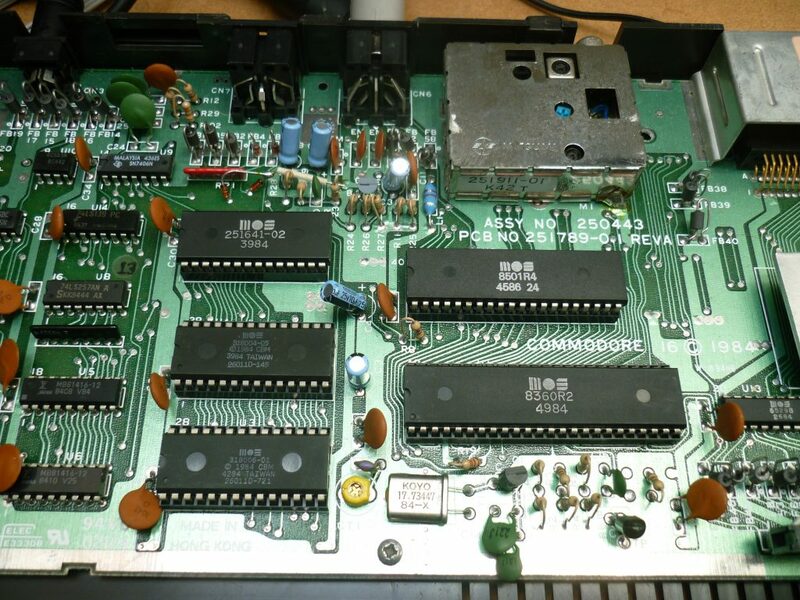 I think the CPU replacement is the Achilles corner of this Commodore line so I’m glad to read this post. Do you planned to sell this beauty at other places, such as Amibay ? Dear Andy, first of all, congratulations for your great job! When do you think you’ll sell the CPU adapter and the eprom? And… Are you going to publish the .bin of the modified kernal? This is excellent news, I would like to buy a few of these from you. Will these all be through ebay or can I buy direct with paypal? Where can I obtain this kit ? 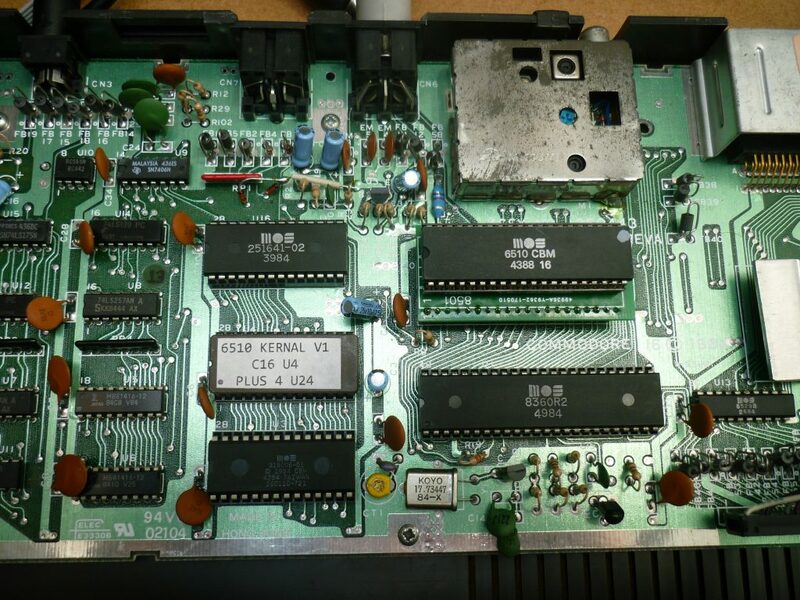 A friend on the vic20 denial forum gave me this link ..but not sure where to order ? If you are still considering selling at £25 …I too would like one for the C16 and one for the +4 .. I am in the UK ..so post shouldn’t be a big problem. Hi, is the board ready for sale? Hi Andy,Great! I’m interested for my C16. Can you send me one kit? I’d like to buy that kit, please. I’ve just noticed your reply pointing out sales on ebay, are these already sold out or something? The ones I listed sold. I’ve listed some more now on ebay.co.uk. Any chance of just selling the pcb’s only and emailing the eprom file. 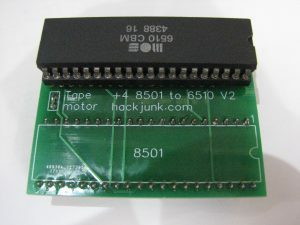 Reason is I have numerous spare 6510’s and an eprom programmer, also live in Australia and likely the postage would make the current package on ebay too pricey. I’m interested in such solution as well, can you contact me via supplied email, please? I would like to get one of these as well, but it seems you don’t ship to the United States. Is there a way for me to order one of these? The ROM I’ve modified is the PAL version, apparently the NTSC Plus 4’s/C16’s have a different version. I don’t have access to an NTSC machine, so I’ve no idea if this will work. I’d be happy to send you one over, if you can pay with PAYPAL, once I get a price for postage. I’m willing to try it and let you know the results. Just let me know the price and information to make the PayPal payment. Do you have a video of a working machine fitted with your board and kernal? and with the diode installation the motor stop work again? Sorry I don’t have a video yet. 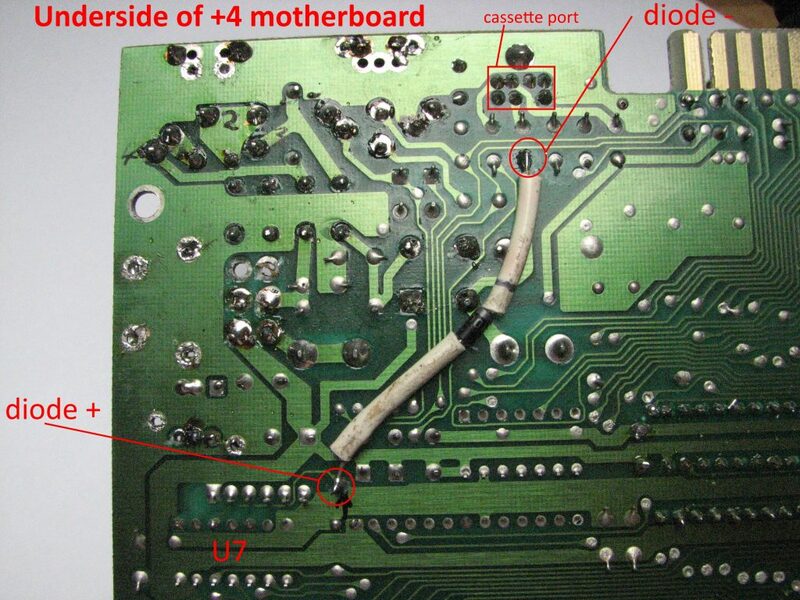 The diode stops the motor running inside the tape deck while it’s not being used. 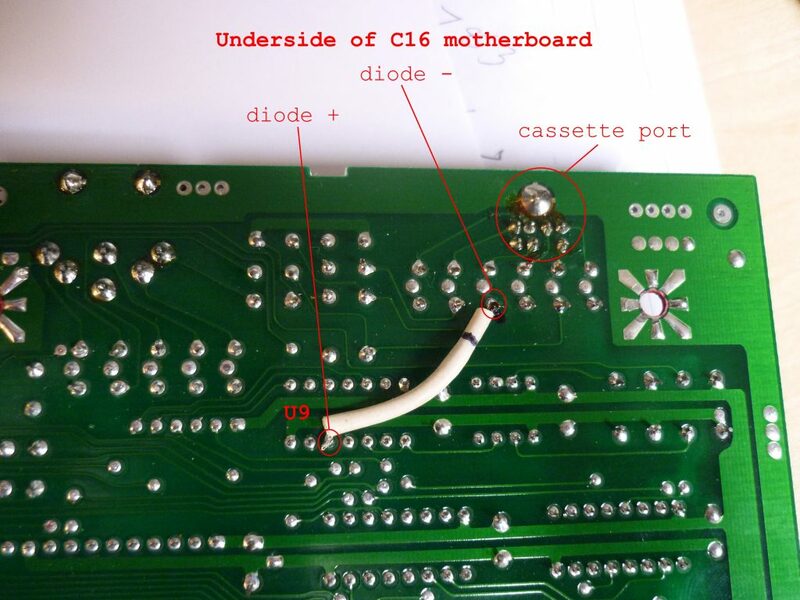 With my conversion the C16/+4 is not able to stop the tape from turning the cassette as the 6510 does not have as many control ports as the 8501 does. The tape motor control is an acceptable loss to get the disk drive working. Would this work on a C116? It should do, I don’t have a C116 to try. There may be an issue with the physical size of my conversion hitting the bottom of the keyboard. 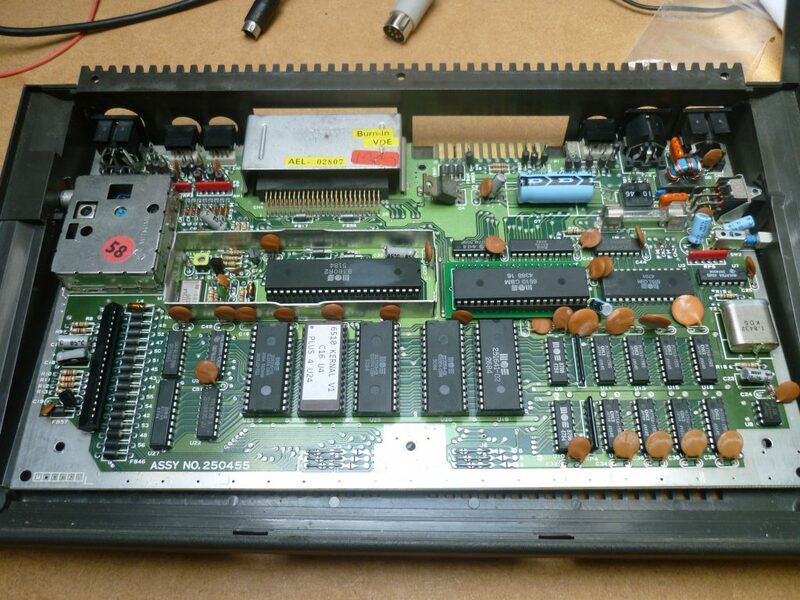 Also my EPROM is the PAL version, so probably wouldn’t work on an NTSC machine. Hi! Just got one of your boards and my previously dead Plus 4 now boots! My conversion does not stop the other ROM’s from working. Taking them out is a good idea, as you say as it will help the +4 stay a bit cooler. The PLA and the TED get very hot, so keep an eye on them or heatsink if you can. Ok, cool. Looks like I have faulty 3+1 ROMs then as it just goes to a white screen when I try to run the inbuilt software. Hi Andy, I’m the author of Diag264, which is a diagnostic tool for the c16/+4. I realised that it flags machines with your modified 6510 kernal as having a bad kernal ROM. If you arw willing, could you point me in the direction of an image of your kernal, and then I can checksum it and add it to the list of known good ones? Great tool. I’ve used it to fix several C16’s and +4’s. I’ll send a copy of my Kernal to the email you’ve supplied.